Energy demands of cities need to be met more sustainably. This book analyses the technical and social systems that satisfy these needs and asks how methods can be put into practice to achieve this. 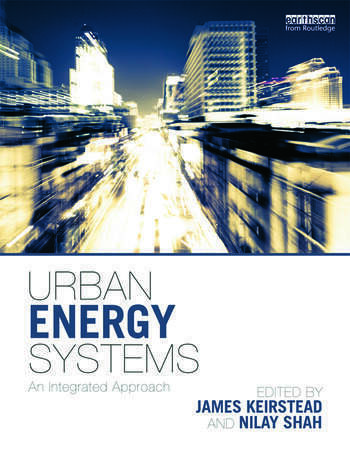 Drawing on analytical tools and case studies developed at Imperial College London, the book presents state-of-the-art techniques for examining urban energy systems as integrated systems of technologies, resources, and people. designing an optimized low-carbon energy system for a new UK eco-town, showing how it would meet ever more stringent emissions targets. For students, researchers, planners, engineers, policymakers and all those looking to make a contribution to urban sustainability. James Keirstead is a researcher at Imperial College London working on the BP Urban Energy Systems project. Professor Nilay Shah is Director of the Centre for Process Systems Engineering and co-director of BP Urban Energy Systems project, Imperial College London.